AT&T, the largest telco in the U.S., said its revenue rose 3.6% year-on-year in the fourth quarter to 32.5 billion US dollars, propelled by "strong wireless, IP data and video growth." 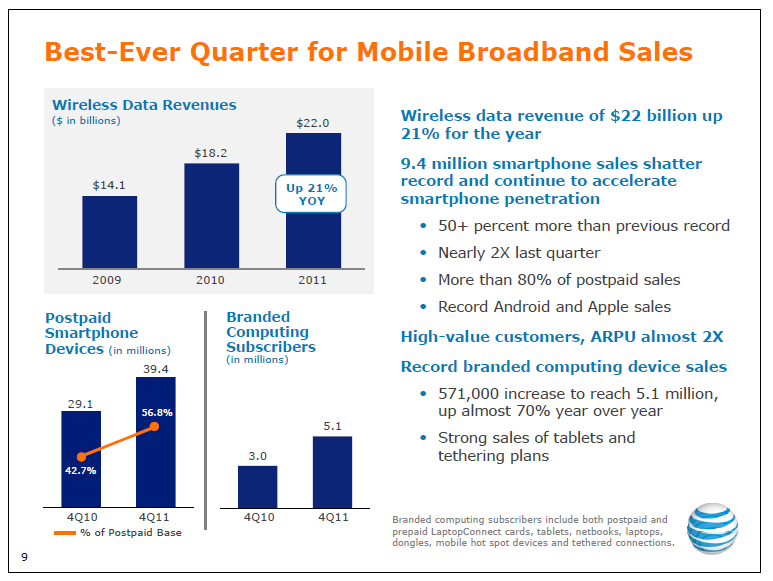 Total wireless revenues were up 10% year-on-year, lifted by record smartphone sales and subscribers choosing higher-priced plans. AT&T said that more than half of its postpaid base now has a smartphone.